Construction on a massive 3.9ha site fronting the Paya Lebar MRT interchange station began in January. 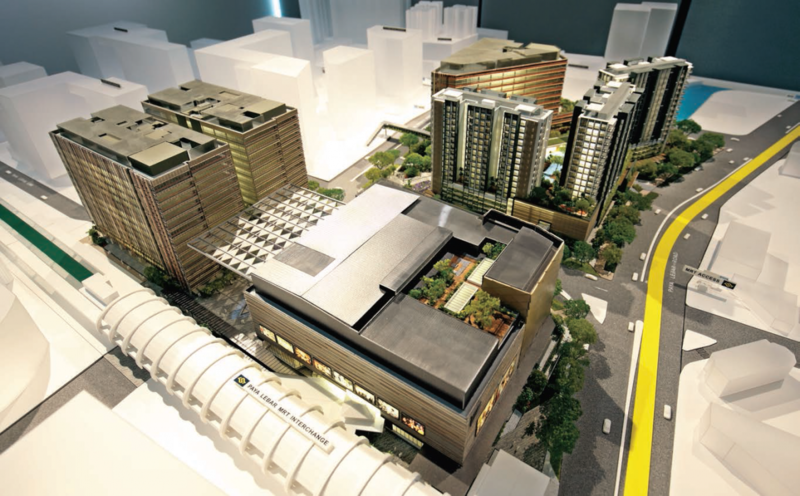 When completed in phases from 2H2018 to 1H2019, Paya Lebar Quarter will comprise a retail complex with 200 shops, three Grade-A office towers with a total of about one million sq ft and three residential towers with 429 units. Developed by Australian property group Lendlease and Abu Dhabi Investment Authority in a 30:70 joint venture, Paya Lebar Quarter is a mixed-use scheme valued at $3.2 billion when completed. Lendlease purchased the 99- year leasehold site in a government land tender with a bid of $1.67 billion, which translated to $943 psf per plot ratio (psf ppr) in April 2015. Consultants had considered it a bullish bid. However, Lendlease is confident in its project. “The great differentiator is that we are investing in placemaking,” says Richard Paine, managing director of Paya Lebar Quarter. The integrated development will have a wellness theme with 100,000 sq ft of green public spaces (the size of 20 basketball courts) and a 20,000 sq ft covered event space outside the mall. There will also be a 6m-wide cycling trail and pedestrian pathway within the development that will link to the Sims Avenue park connector. For the convenience of office tenants, there will be facilities for storing bicycles and scooters, as well as showering facilities. The development is aiming for a BCA Green Mark Platinum Award, the highest accolade for sustainability in Singapore. Paya Lebar Quarter will serve a working population of about 22,000 in the local catchment area within a seven-minute walk and more than one million residents in the area. There has been a buzz in the Paya Lebar Central neighbourhood around the MRT station since the government announced in the URA 2008 Master Plan that it would be transformed into a commercial hub. At the same time, Jurong East — now known as Jurong Gateway — will be Singapore’s second CBD. This is all part of the government’s overall plan towards decentralisation.